Cue win number two! We’ve cornered the Rays to elimination already! I must say that this series is proceeding quite swimmingly thus far. We are taking the field and dominating every aspect of the game, and that is a wonderful site to see. It’s good to be back. Lackey’s performance was probably the downside of Game Two. He lasted only five and one-third innings and gave up four runs on seven hits while walking three and striking out six. Lots of hits and lots of runs. That would have been really bad news had the offense not stepped it up. He gave up a walk that turned into a run after a single and sac fly in the second. En route to securing the first two outs of the fifth, he gave up a double and hit a batter, and both turned into runs on another double. And he gave up his last run in the sixth on a single-single combination before he was lifted. We scored first. Ellsbury singled in the first, stole second, advanced to third on the throw, and scored on a sac fly by Pedroia. And then Papi went yard on his second pitch of the game to right center field. No big deal. 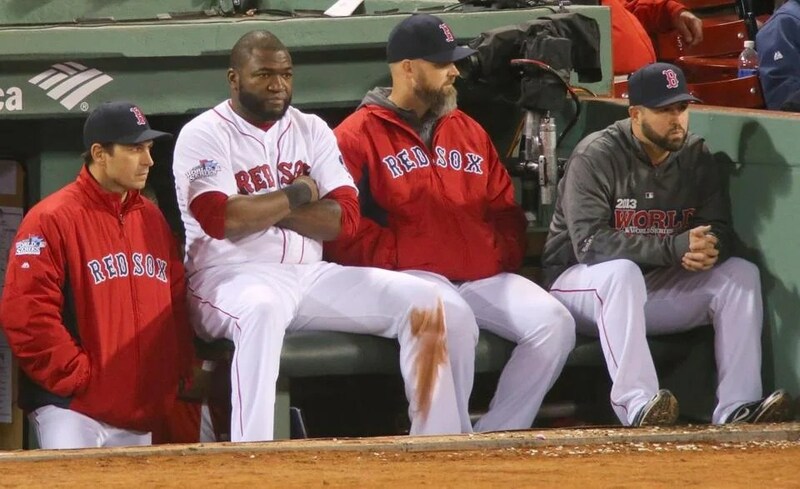 Just Papi doing what Papi does during the playoffs. Yeah. Back indeed. Ross and Ellsbury hit back-to-back doubles to lead off the third, thereby scoring a run. 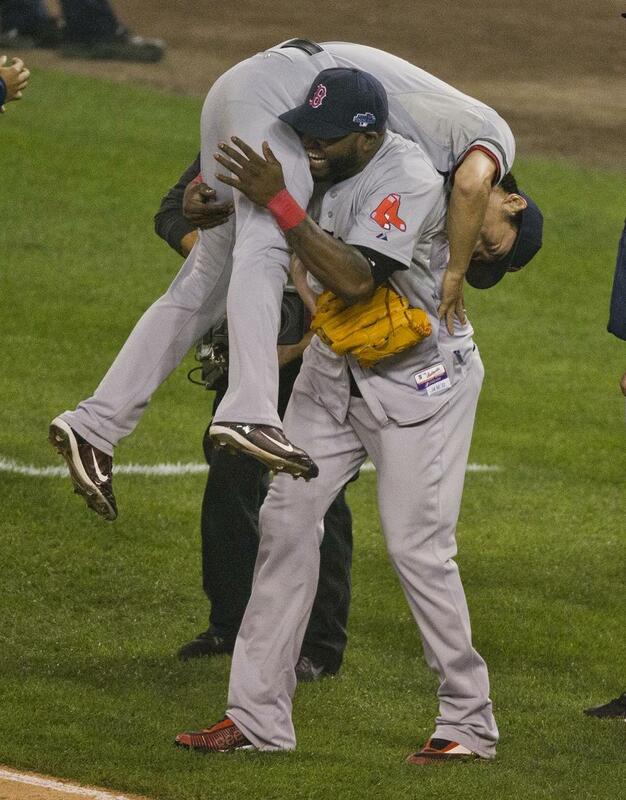 Then Victorino singled, and Ellsbury scored on a force out by Pedroia. Napoli walked to lead off the fourth and scored on a triple by Drew. Ellsbury led off the fifth with a single and scored on a double by Pedroia. And then Papi did in the eighth what he did in the second: he homered on the second pitch of his at-bat, this one straight up to right field. Yes. 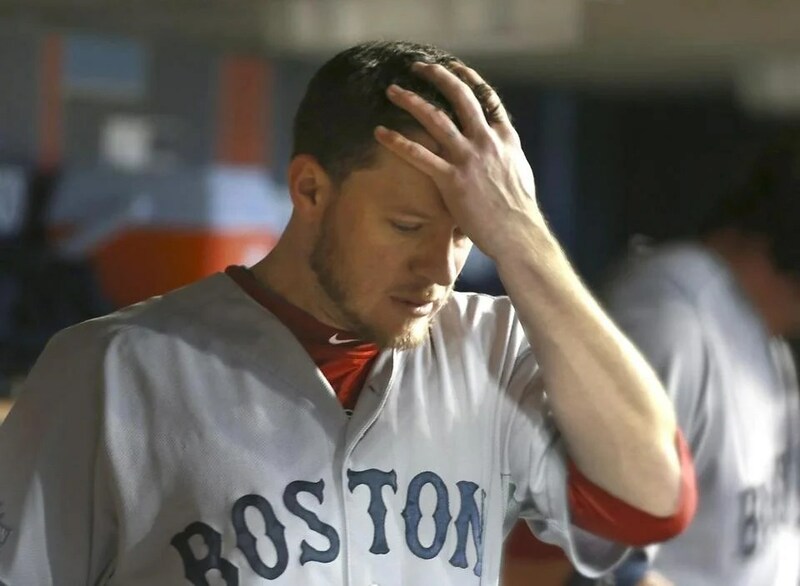 Breslow finished the sixth and pitched the seventh, Tazawa pitched the eighth, and Uehara took care of the ninth. And then we won, 7-4. Let’s get this done.